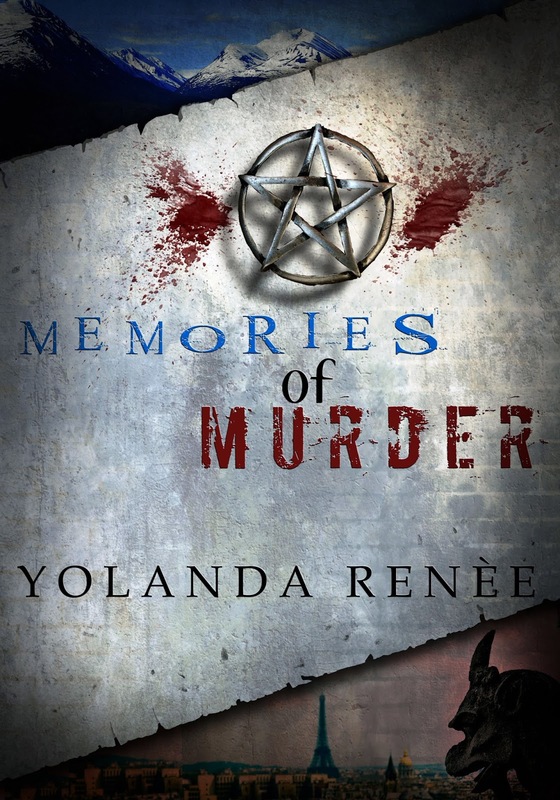 I was already excited about Memories of Murder by Yolanda Renee, and now that I've gotten a little more insight into the story in this post, I'm even more excited! Yolanda is writing about a topic that's very important to me...evil. (Bwah ha ha ha ha). Seriously though, I think evil characters are some of the easiest to get wrong, and it's great to hear about the care Yolanda put into creating the evil in her novels. Isn't that the coolest cover? I researched evil before developing the characters in my novels. One such resource was The Writer's Complete Crime Reference Book by Martin Roth. According to Mr. Roth and recent studies regarding serial killers, most cases involving a serial killer are the result of cultural or sociological problems. Mr. Roth went on to describe three types of sociopaths: The visionary type – hears voices that belong to either God or a demon ordering them to kill. The second type finds his gratification over exercising power over his victims, and the third type is pleasure seeker. Mr. Roth goes on to explain that in the majority of cases the serial killer's primary mission is to act out a secret fantasy and may involve: cannibalism, torture, mutilation, etc. For Memories of Murder I chose the visionary sociopath with a goal. He doesn't hear the voice of a demon—he believes he is one. My antagonist Lucifer, believes he is evil incarnate and all because of what his mother told him as a child, as well as what he witnessed at a very early age. Murder, Madness & Love is a mystery until the unveiling of evil and I don't want to give anything away, but in Memories of Murder the antagonist appears early as his evil self and there is no need to guess the killer. The character of Lucifer believes he is the son of Lucifer. Below is a short story that I wrote to help create my character but is not included in the book. “Lucifer S. Reynard,” Bell said proudly. She pretended not to notice the surprised look of the doctor and nurses. “That’s a…different name. Is it his father’s?” The doctor asked. “Then that’s the name you want on the birth certificate? The S, what does it stand for.” The nurse inquired. “The S is just an initial, you know like Harry S. Truman.” She leaned back against the pillow and cuddled her tiny bundle. Bell was nineteen and a prostitute, had been since the age of twelve after running away from her foster parents. This was her first pregnancy. It was a planned pregnancy. “Mommies little monster,” she whispered. “We know your daddy don’t we. The S stands for Samael, but they don’t need to know that. In time, though, they’ll know it. In time, all in good time,” she smiled and relaxed in her happiness. Her outburst stopped them in their tracks. Silence followed and a harsh tension permeated the room. They observed her carefully, but relaxed when they noticed that she was happily feeding her tiny son. Do you want me to have a member of the La Leche League drop by to see you?” the nurse asked. Bell had a Black Sabbath to attend. Tonight she would give her child to the cause. She would present him to the priests and he would be marked as the one. The celebration would go on for three days and adoration and respect would be hers. Thanks Sharon, for hosting me today. Hello Sharon. Hello Yolanda. I loved the short story, love the cover. I can't wait for your first book to come out Yolanda. Not long to go now! It was scheduled for the 5th and just got changed to the 19th, but that's the way the cookie crumbles sometimes. Wow, that's a powerfully disturbing origin of a villain tale! Nicely done, Yolanda! Thanks Mina, evil gets its beginnings somewhere, and I had a clear picture of this villain from birth.